This is a query we get from aspiring authors every single day. I’ll admit it: For years I’ve shied away from the straightforward yes/no response clients are looking for when they ask a question like this. I simply haven’t seen it as my job to say “yes” or “no” to someone’s creative longing. Even a careful and loving “no” can trigger a shame spiral. Or worse, crush the aspiring author’s little sprout of a creative dream. Which is not okay. Why? Because Life itself planted that desire in my client’s heart, and that’s incredibly meaningful to me. If there’s anything I’ve learned over the last 40-odd years, it’s that Life is entirely trustworthy. So instead of giving a point-blank opinion, I’ve usually opted to present the appropriate “next step” on that particular author’s journey. That way, the author can keep going and see for himself what Life has in store. And yet. Every so often I encounter an author who legitimately wants—and I’d even say needs—to know where she’s positioned on the map of writing ability. Perhaps she’s a well-known personality who’s got publishers clamoring for a book, and she doesn’t know whether to hire a ghostwriter or write it herself. Perhaps she’s looking to grow her clientele, and she doesn’t know whether to use her finite creative resources on writing a book or starting a YouTube channel. Perhaps she yearns to tell her own story—to write a narrative memoir—but she’s not a celebrity and/or doesn’t have a larger-than-life, attention-grabbing story. 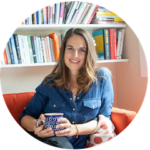 She needs to know if she is capable of writing about her life as skillfully as the memoirists she looks up to, the Liz Gilberts and Dani Shapiros and Glennon Doyles. For these and other authors, I’ve found it’s much more satisfying for all parties if the author is able to position herself on the map of writing skill. Once you understand the playing field, it can feel like a relief to know where you are located. And if you get to locate yourself, rather than having someone like me deliver the news, it lands as less shameful. In case this is you, I wanted to offer three clues that you’re a gifted writer. The hope here is that once you locate yourself you’ll be able to set yourself up for success, regardless what type of writer you are. So without further ado, here are my 3 Clues that You’re a Gifted Writer. Clue #1: You’ve been hearing that you’re an exceptional writer for a very long time. Most people who have above average writing chops have heard it from the time they were very small. Such writing skill is not easy to come by, so it gets noticed. Bottom line, the most exceptional writers amongst us were hearing about our skill from teachers, mentors and professors throughout our educational journey. The praise likely continued into our professional lives as well…which brings me to Clue #2. Clue #2: You probably write as part of your vocation, in one way or another. 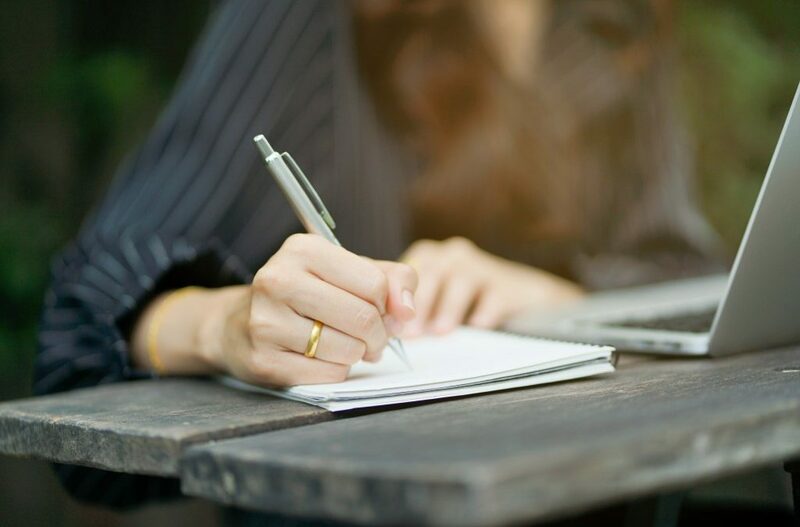 Whether you’re a B2B journalist, a copywriter, a grant writer, a blogger, a lawyer or the PTA president, your vocation probably includes writing in some way or another. How do I know this? Because as I’ve said, great writers are hard to come by. If you’re one of those lucky few, it gets noticed pretty quickly—and the writing assignments magically fall onto your plate. Which is probably just fine by you, since writing likely comes naturally and easily to you. Which leads me to the final clue, #3. Clue #3: You know you’re an exceptionally gifted writer. Writers who have “the gift” tend to know it. They are the folks you can ask, “Are you a good writer?” and you’ll get a fairly straightforward “Yep” (laced with varying amounts of humility and hubris, depending on the person). For an exceptional writer, there need be no vanity in the reply; it’s simply the truth. You’ve gotten that feedback from Life in a variety of ways and you likely consider writing to be something that comes easily and naturally to you. If so, congrats—you have one less hurdle to cross on the way to becoming a published author. If you can’t shout out a full YES when asked if you’re a gifted writer, does that mean you’re a terrible writer? Absolutely not. You may be what I call a “solid” or even “strong” writer, someone who’s able to get their ideas to the page in a clear manner—even if they don’t have “that special something” that would draw clear and persistent praise. 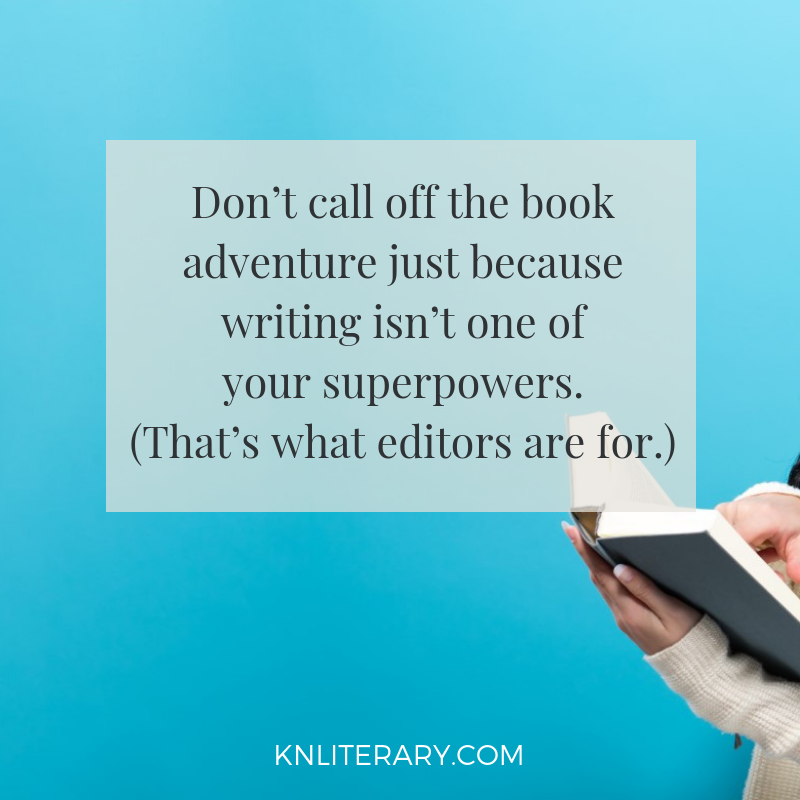 So there’s no need to call off the book adventure just because writing isn’t one of your superpowers. Many, many of the books you see on bookshelves have been a team effort. If you have interesting ideas or a fascinating story to share, hiring a book doctor or even a collaborative writer can fill the gap lickety-split. The first step is simply to look at your writing skill as objectively as you can. It’s my hope this article has helped you get the ball rolling! What do you think? I’d love to hear your honest thoughts in the comments below! Hi Kelly, Just finished your book,KUDOS to you. Reid wasn’t kidding in the writing course when he said it contained all you needed to know. I’m blown away by how you blasted right through my writing block. Thank you. So wonderful to hear from you Virginia!! And thrilled you were able to blast through your writing block–YES! That’s so reaffirming to hear. Thank you for the feedback! !